The Geography and Planning Department has located a geocache on the Buffalo State campus. The prefix “Geo” refers to geography and “Cache”, as used in hiking, refers to a hiding place for provisions. pin point its location (usually within 25 feet of its true location). 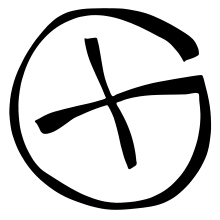 Our geocache is formatted for WGS 84 datum (model of the Earth’s shape) positioned at latitude and longitude coordinates (degrees, minutes, and seconds): 42o 56' 00.9" N and 78o 53' 00.8" W; or Universal Transverse Mercator (UTM) coordinates: 17 T 0672692 4755606. By plugging in these coordinates into your GPS unit (waypoints), the GPS unit can lead you to our geocache from any starting point in the world. While this may appear simple, finding the geocache can be challenging. It is important to know that GPS units do not work well when sky cover is obscured by buildings or trees (contact with satellites is lost), but not by clouds. For this reason our geocache is not located in a building. Furthermore, GPS units lead you along a straight-line (shortest) path, whereas you may be required to go around objects (do not go through buildings). The geocache is handicapped accessible (traveling over pavement and some grass). Geocaching rules are simple: take something, leave something, and fill in the log book. Our geocache is very small and contains a small object for you to take (you will see a small plastic bag with a number of similar items–please take only one item). You do not have to leave something behind, but you can do so if you wish. We do ask that you fill in the log book. If you see anything out of place with regard to the Geocache, please contact us. The search for a geocache is an all-weather adventure game, but it also teaches the user about GPS units and location coordinates. We encourage you to learn more about GPS and coordinate systems, and more about the tools used by geographers and about geography as a discipline. 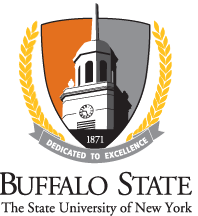 As a first step to learning about geography as a discipline, and of educational opportunities at Buffalo State, please link to the our website. If you plan on going geocaching with your class, please inform Stephen Vermette. We can supply each student a small trinket in our geocache. If you do not have a GPS unit, we can provide you with one or two GPS units for a limited period of time.